To build a website you first have to think that in which field you are good or intrested and had a unique knowledge over it i.e. Technology, Movies, Sports, Politics etc. So that you can write good posts and can give your best to the particular topic . Domain Name is the name of the website and it is the unique name or you can say that domain name is the URL or address of the website. Domain Name Generally Represents IP, IP stands for Internet Protocol. To check the available Domain Names : open www.godaddy.com ,if you are not able to set your domain name or you are confused then the topic in which you are going to blog choose domain name related to that, But choose the domain name which is simple and easy to remember because if it is complicated then maybe you will get less visitors domain name does not affect the visitors very much but still atleast 5% visitors are reduced, select domain name related to your topic or mix some words you can also take the help from www.bustaname.com where you enter the words it will mix the words and give you good names the one which you like check it on godaddy.com and then purchase the same. After Registering the Domain Name You Will Get the Username and Password of your website Control Panel open the control Cpanel: www.yourdomainname.com/cpanel, scroll down and select Fantistico Deluxe and Select Word Press and Install it and Set Username, Password of the Word Press then Logout the Cpanel and after this you don’t need to open cpanel. Open www.yourdomainanme.com/wp-admin now enter the username, password you have setted in cpanel now you are in WordPress. The important thing now is to install some important plugins. In Dashboard You Will Find Posts, Add New, Themes, Plugins.Select the Theme First You like but prefer the Theme Which have White Background Select the theme and install and then go to Plugins. All in One SEO pack , Akismet , Google XML Sitemaps , Captcha , Google XML Sitemaps for Images , Share This ,Contact Form 7 , Ad logger ,Google Analytics , Facebook Like Box , Facebook Social Plugin , Share This , Comment Luv , Ad Injection Etc. Your Content Should Not be copied from somewhere, You Should Not Upload Episodes, Serials, Movies, Videos, E-Books, Games .You Can Only Give You Tube video Links, If you have any Video related to your post, you first have to upload that vedio in You tube then give the link of that Video in your post in HTML part, So that Which saves your website memory and fasts the opening speed of your website. After Writing the post go to copyscape.com to check whether your content is original or not. If it is not copied then ping your post at google-ping.com and pingmyurl.com, after pinging the post your website is registered in all over the world and after 12-14 hours your website/post will be shown in GOOGLE search engine and other Search engines. Also install Google Analytics, so that you would come to know about your visitors from where they are coming and about the new and returning visitors, Bounce Rate, Sessions etc. When Your Visitors are 100 in avg then Check Alexa Rank if it shows Rank then it means your Website is Running Successfully. Every Blogger wants to Get Google AdSense for his/her website as soon as possible. So that he/she start earning which is the main goal of the blogger to develop a website. For Google AdSense You Have To Fulfil some Requirements i.e. There Must have 10 posts minimum in your website and the Word Count Of Each Post Should Be Around 1000 and you should have 100-200 Visitors per Day as An Average and also you website must have Alexa Rank and The Background of your Website Should be White and if all this is ok then register for Google AdSense. If your website Is registered is Google AdSense then you will Get the Ads and You have to put the same adds in your website and if the visitor clicks in the Adds you will get the money as per the deal with the add you will get the money on clicks and you will get the amount in Dollars when $100 are completed you will get the check from the Google on Your Postal Address. 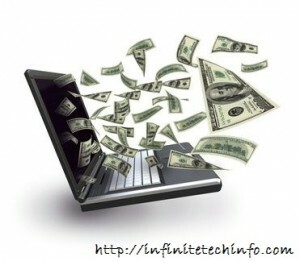 There are other affiliated markets or programs also from which you can also earn through your website. These affiliates do not have such requirements as Google AdSense .For these Affiliate You Should Have 5-6 posts, word count upto 500 and average visitors 50 , if you have all this you will get easily registered in these Affiliate Markets. Affiliate Programs by Flipkart, Amazon etc. But these will not give you money on clicks but if someone purchases anything from the link you will get 10-15% of the purchased amount. Also there is one more Affiliate i.e. Infolinks for this you have to hyperlink the words in your post so that if so one puts the cursor in the hyperlink word and he will see the ad from Infolinks and you will get the money. So, this is all about Blogging, Website Building and Making Money Online. Nice post!! A real hardwork can be seen in this post. It was so good to read it.